Making a wishlist is something I used to do long before but it never actually worked and I ended up having crappy items instead of the items that I really wanted. Not having a reasonable wishlist is as equal to not having a wishlist at all. When I know that I am on a budget, keeping NARS and Charlotte Tilbury or even items from Becca is useless as because even in a million years I can never own such expensive and luxury items. So now all I do is make two wishlist that I know I can achieve for real. 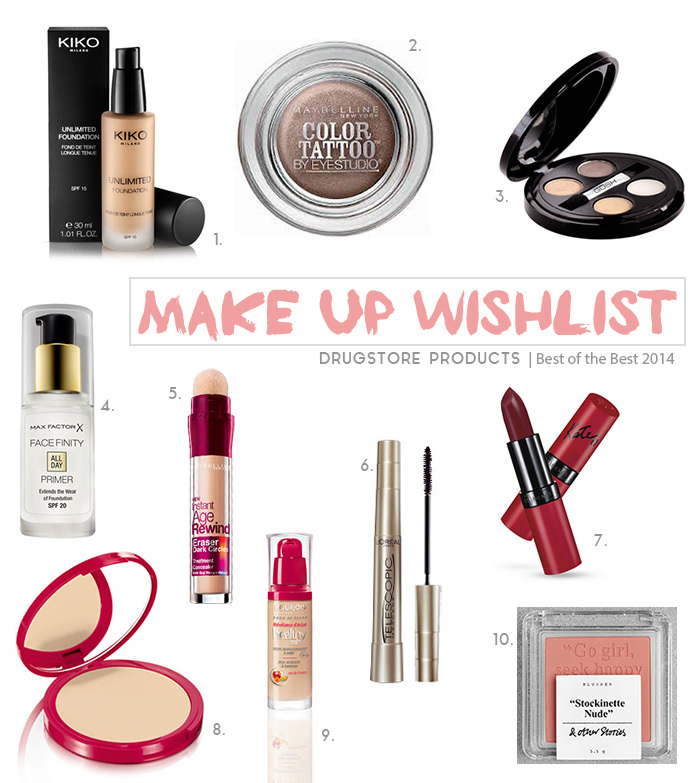 One wishlist has items which I need to buy in a month and it contains all drugstore and affordable items and another wishlist is a yearly wishlist which has more high-end stuff and which I know I can buy through out the year. Keeping two wishlist actually balances out your purchases between high-end and drugstore items and you can own items not only from drugstore but from high-end brands as well. Dupes are products that are exactly the same like a high-end product in quality or color or either appearance with much less price tag. Buying dupe of high-end products actually helps to save a lot of money. Say you always wanted to have those knee high Steve Madden boots but having to spend so much money on it kept you from buying it, going for a cheaper alternative which has got the same get up like those boots but with a much less price is actually a better option when you are broke.Today there are so many makeup dupes for high-end and even luxury brands like Laura Merceir, Tom Ford, Becca and many more. So find the right product for you and go for the dupe and save yourself some money unless you want to buy a certain product just for the name tag. But also going for dupes and using fake products has a significantly different meaning from one another. I would never recommended using fake products as because the ingredient list is not very good in those kind of products. Doing your research actually helps not only when you are on a budget but also when you are splurging on items. When you want to buy a certain item always see some reviews online and see if that particular product is going to suit you or not. I have bought items in the past which never worked for me and I know that I will have no use out of it ever again. Wasting money on products that are not going to work for you is just so frustrating. Although sometimes a product may fail you or disappoint you even after doing a lot of research but the chances are really very thin there. So knowing your items before you buy will help you save from disappointment and some money as well. Great tips! Happy Holidays to you as well! With ur help my shopping for holiday will be fab…. I know, there always comes an excuse for pampering, isn’t it? Thanks for sharing some great tips! I hate going over-budget! Hsppy Holidays! I try my best to budget, waiting for a sale and doing my research has definitely helped me save money :). I have few higher end products and prefer drugstore brands. I prefer drugstore as well, I hardly try out high-end products due to the price tags. yes! it’s usually not a huge difference between drug store brands. Lovely post darling ! Keep it up !!!!! I hope your exams went well! Yes, money is Always tight for me around the holidays. These are excellent tips. I also love your presentation!!! Thanks for taking out time and reading so many posts. I totally appreciate you as I can see you do have a great amount of followers and a bery busy schedule I guess. Thanks again so much. Likewise! I saw that you had taken time to read my posts and am so glad that I got to read some of yours too :). Great post. Makeup can be so expensive and it’s nice to let people know there are good products in all price ranges. This is a great post, full of great tips! !